Thank you for your interest in our company. 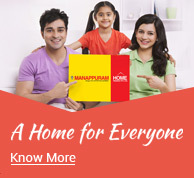 As you browse through this website you will discover why Manappuram Finance Limited is a leader in the gold loans business in India and how, with recent diversification into new businesses like microfinance, home and vehicle loans, we are poised for the next phase of growth. There’s no denying that gold loans have a distinct place in the Indian financial sector, with potential and possibilities unlike any other business. It begins with the well known fact that India has the world’s largest stock of privately held gold estimated at between 22,000 to 25,000 tonnes, and amounting to about 10% of the world stock. The gold loans business is about unleashing the hidden power of this gold, bringing to life what is otherwise a dead investment. The market potential for gold loans in India is vast. Less than 10% of our private gold has been monetised. The rest lies idle in safes and vaults in millions of homes across India. Surprisingly, about 65% of the gold in India is held by rural households. That’s why, in a country keen to promote financial inclusion of the rural population, gold loans are now recognized as a powerful tool to achieve this objective. 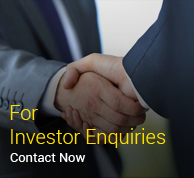 Manappuram Finance Limited stands at the forefront of India’s quest to convert its gold into a socially relevant business opportunity. We are proud to have transformed this age-old activity by introducing scale, transparency and professionalism to this business. A gold loan is among the safest loans products with the lowest delinquencies. 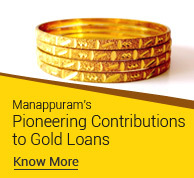 At Manappuram, we lend mostly against household used jewellery to which people tend to be emotionally attached and which distinguishes gold loans from any other commodity lending. Over the last two decades, we have been one of the fastest growing companies in India and a leading wealth creator for our investors. In November 2015, I was at the BSE (formerly Bombay Stock Exchange) to mark 20 years of Manappuram’s listing at the exchange. At the function, it was noted that shareholder wealth since listing in 1995 had gone up 92 times (not counting the uninterrupted dividends). A year later, in January 2017, Manappuram Finance Limited was ranked at the 13th position in the list of the Top 20 wealth creators in the stock market published by Moneylife magazine. However, in 2012, we hit a rough patch due to certain fundamental changes in the regulations governing gold loans. Financial sector regulators in India expressed serious concerns about the concentration risk inherent in our mono-line business model. Later, we saw for ourselves how the exclusive focus on gold loans made us vulnerable to sharp fluctuations in the price of gold. 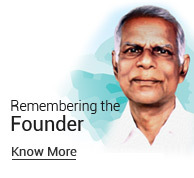 That was when we initiated bold moves to become a multi product company, by simultaneously diversifying into new business areas like microfinance, home loans, vehicle loans and SME lending. 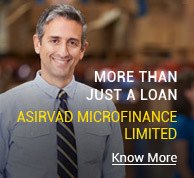 In February 2015, we acquired the Chennai based Asirvad Microfinance Pvt. Ltd. This was a microfinance company with a good management committed to the cause of microfinance and yet struggling against odds to grow. At the time, it had assets under management or AUM a little short of Rs.3,000 million. Today, three year after it became our subsidiary, Asirvad’s AUM has grown to more than Rs.24,000 million. From a presence in just 3 states when we took over, Asirvad is now active in 22 states and Union Territories. India’s microfinance sector is once again doing well and we expect Asirvad Microfinance to continue to sparkle in the coming years too. 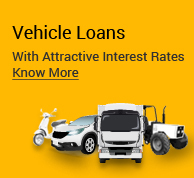 Our other new businesses — Commercial vehicle loans and housing finance loans —now contribute over Rs. 11,200 million to our total AUM of about Rs. 166,180 million. Importantly, they have all attained a measure of stability and we are confident that we can scale up rapidly from here on. 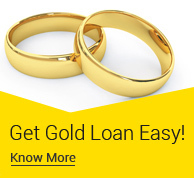 Moreover, having introduced technology to the otherwise hidebound gold loans business, we continue to live up to our motto of “make life easy”. After investing in an extensive network of 3,331 branches across India for delivering gold loans (and another 875 branches for microfinance and housing loan), we are now preparing ourselves for a future where brick and mortar branches will increasingly play a supplementary role in a digitising world. 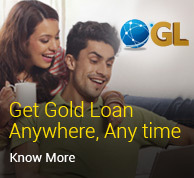 In September 2015, we became the first player to launch Online Gold Loan (OGL). A customer who has completed the initial formalities can now avail a gold loan 24X7, from anywhere in the world, in fact, even as he sits at home. The loan proceeds are instantaneously transferred to his bank account. Later, when the loan is repaid, the gold will continue to remain with the Manappuram branch for instant sanction of future loans to the customer whenever he or she needs the money. In conclusion, when I look back at our journey of two and a half decades, I can say with pride that Manappuram Finance has played a stellar role in countering prejudice, shaping attitudes, and winning acceptance for gold loans across India. 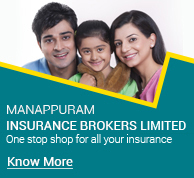 And when I look ahead, I see Manappuram Finance continuing with the good work and setting the pace in its new focus areas, be it microfinance, home and vehicle loans, SME lending, Insurance broking, or in any other new businesses we may get into in future.